David Stringer-Lamarre, MD of FortisCL, was pleased to attend this Commonwealth Big Lunch to celebrate Her Majesty the Queen’s contribution to the Commonwealth. 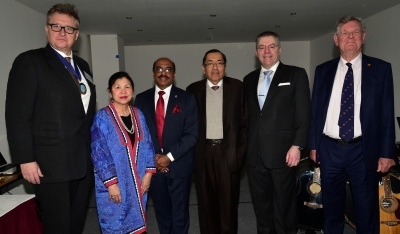 The event was held at the High Commission of Malaysia in London. This was followed by a speech by the Chairman of the British Malaysian Society, Dato Anthony Cooper. The Chairman of the Institute of Directors (IoD), City of London, Alderman Alastair King.